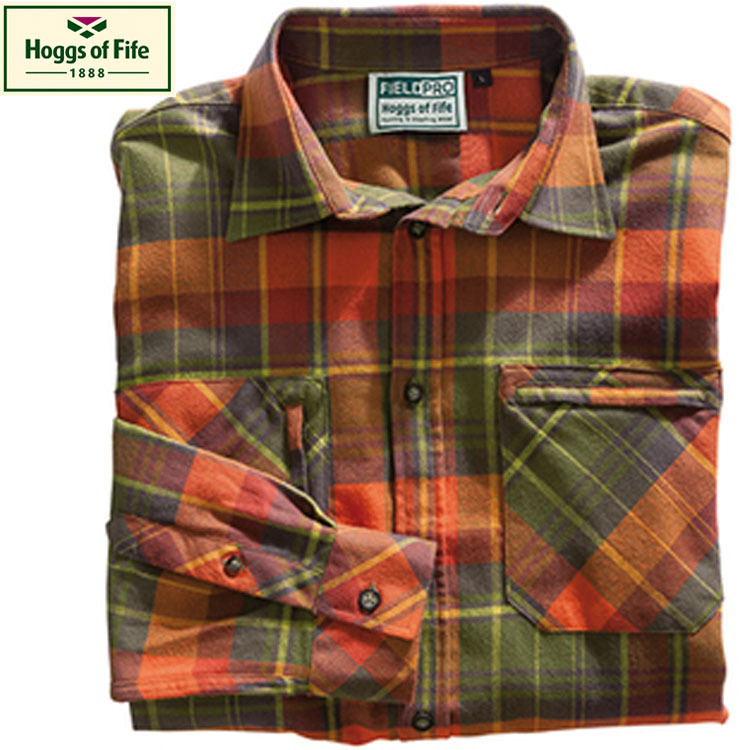 Superior quality 100% Flannel Cotton Hunting Shirt in elegant plaid design. 170gsm weight brushed on the outside face Generous fitting to allow for ease of movement and layering Long tail to ensure that when tucked in, shirt will stay tucked in Two chest pockets – one top opening and the other side opening, both zipped for security. Full length buttoned front with horn-effect buttons Two stage buttoned cuffs and buttoned gauntlet.